We use the GE SENOGRAPHE 600T SENIX H, which is a top of the line mammography machine from GE Medical Systems, USA. This advanced machine helps us provide the best quality routine scan mammograms for preventive screening of breast cancer. 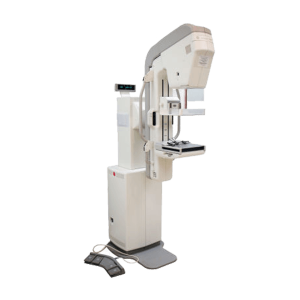 It provides excellent high resolution digital mammography images and helps detect any abnormality, changes, lumps, or any other symptoms of breast cancer. We advise a mammography scan, or mammogram, for all ladies above the age of 40 years. The scan should be repeated at least once in every two years, or more frequently if recommended, by your doctor. It is important to note that a mammography scan should be done even when no lump or mass can be felt in the breast. For list of mammography investigations and prices, please visit our Mammography Rate List using the link below. We offer both single breast mammography scan as well as both breast mammography scan.